Hotel Indigo Bangkok Wireless Road is InterContinental Hotels Group’s (IHG) first Hotel Indigo property in Southeast Asia. It officially opened on 14 March this year and has a local neighbourhood story to tell its guests. IHG has shared that Hotel Indigo guests are savvy individuals who are not interested in mainstream and are social media aware, design conscious and have high income levels. They are also interested in local culture. Rooms here do not come cheap but they do have a story to tell. The Tuk Tuk is an integral for of transportation in Bangkok. 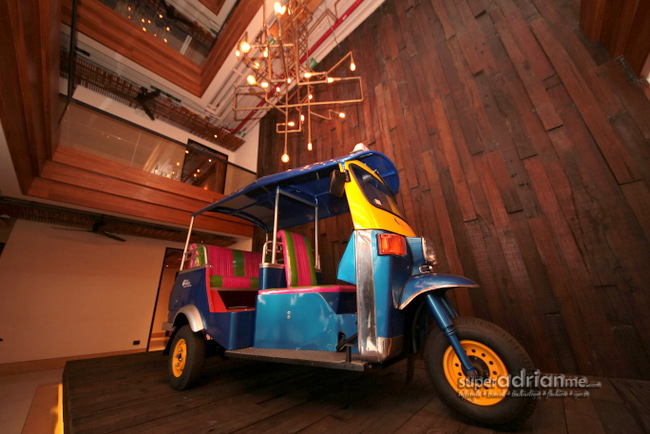 Display pieces of the Tuk Tuk can be found throughout Hotel Indigo Bangkok Wireless Road. No two Hotel Indigo properties in the world are alike because each reflects its immediate neighbourhood through its design, food and beverage, amenities and services. 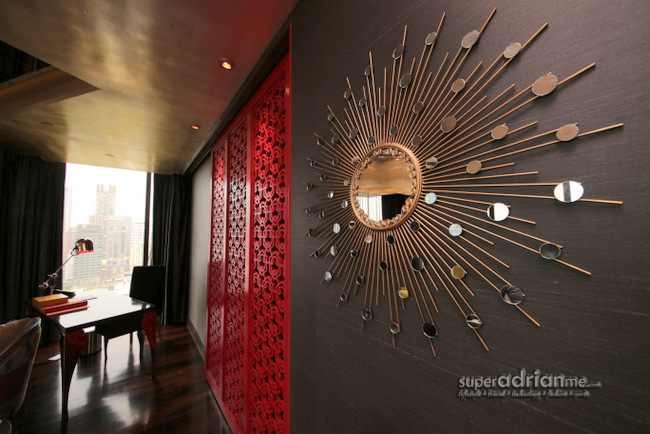 This 192-room hotel features a very local design, incorporating bits and pieces from its surrounding neighbourhood. This is reflected in many elements including the open air high ceilings in common areas which let in natural light – a reminder of the past when air con was not so common. 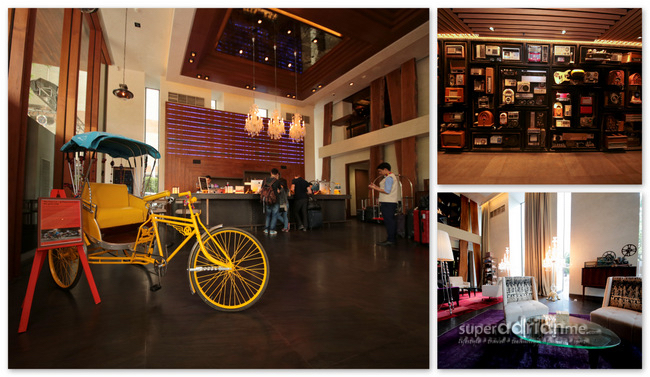 The neighbourhood is also brought to life here with locally inspired artworks throughout the hotel and guestrooms. Street art style murals in the common areas at every floor depict the story of the surrounding area. 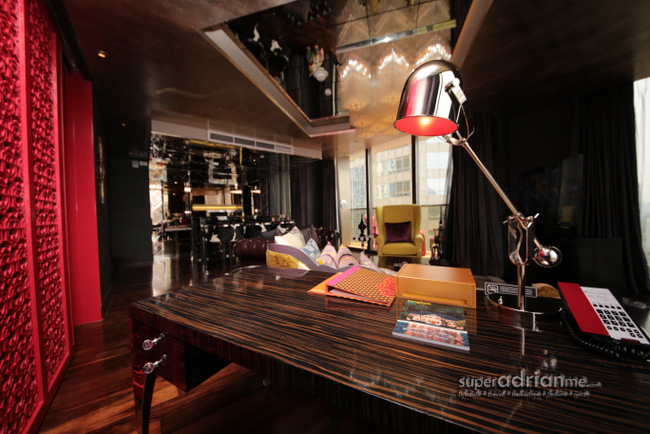 The Chaiyapurek Executive Room at Hotel Indigo Bangkok Wireless Road. Guestrooms are designed with reference to the history of Wireless Road with a combination of loose furniture in vintage forms, modern colours and materials in the rooms and Thai pagoda and gazebo inspired artwork and wall panels. 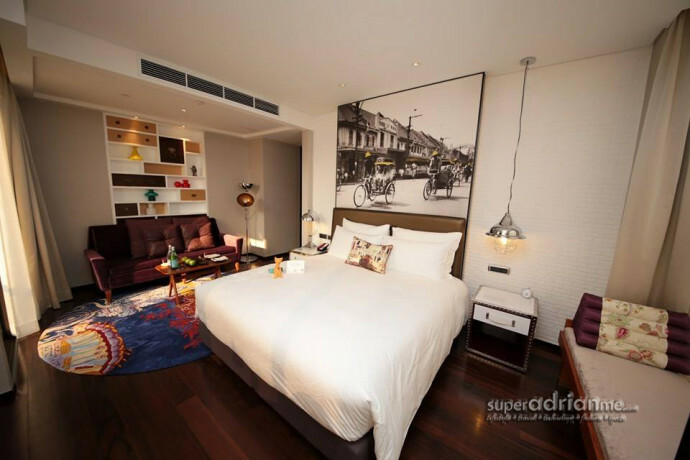 There are five types of rooms and a luxurious suite at Hotel Indigo Bangkok Wireless Road. There are 70 Urban Superior and 54 Urban Deluxe rooms measuring 35 sqm at the basic tier. There are also 42 x 37 sqm Tonson Executive City View rooms, 9 x 48 sqm Tonsak Executive Garden View rooms and 16 x 48 sqm Chaiyapruek Executive Rooms. I like it that the rooms are mostly hard surface flooring with area rugs. 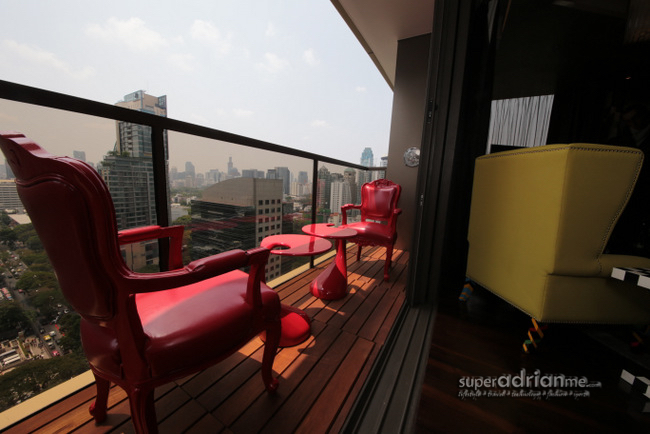 I stayed in the Chaiyapruek Executive Room which had a balcony that overlooks a splendid view of the U.S. Ambassador’s residence as well as high rise buildings as a backdrop. Don’t forget to snap a photo in the evenings as you can get an almost postcard-perfect shot. 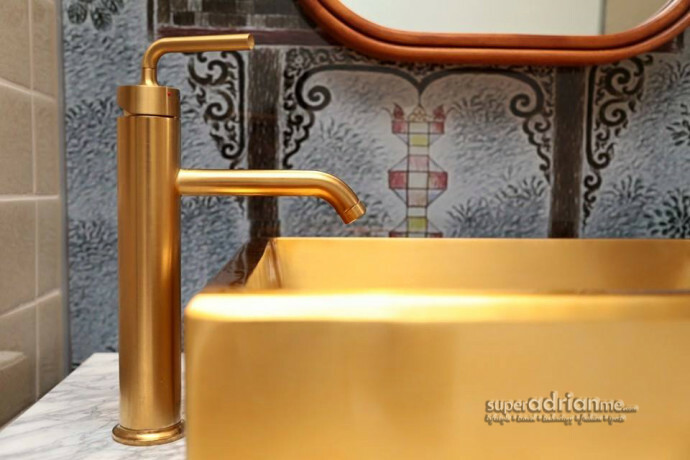 The spacious bathroom in the Chaiyapruek Executive Room that I stayed in is truly spa-inspired with touches of gold fixtures. 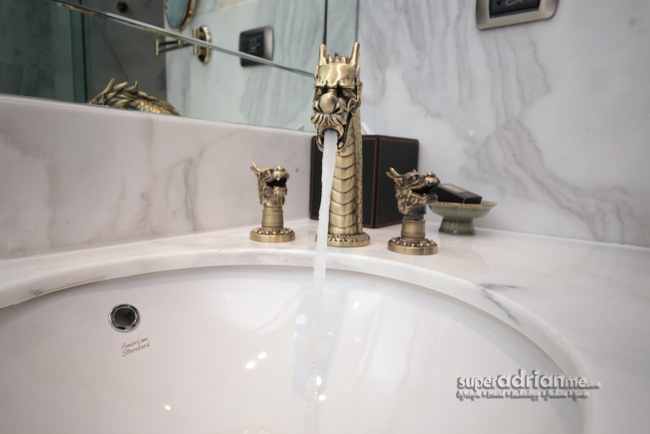 And I have not even showed you the bathrooms in the Royal Ratchapruek Suites yet! You can raise the blinds and overlook an office block while taking your bath if you are into that sort of thing. 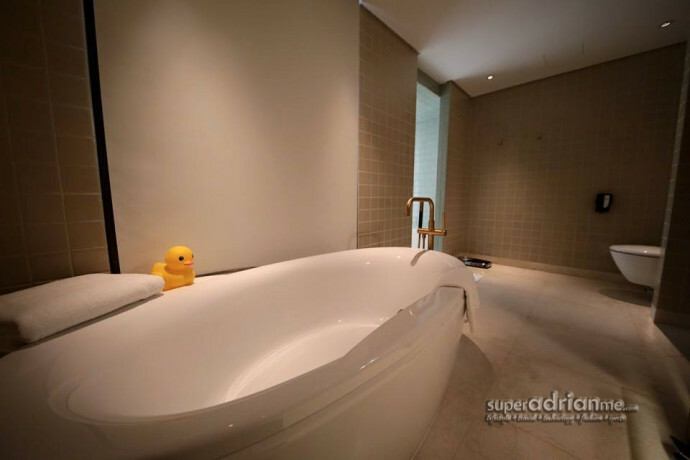 An accompanying rubber duckie keeps you company if you are soaking alone. 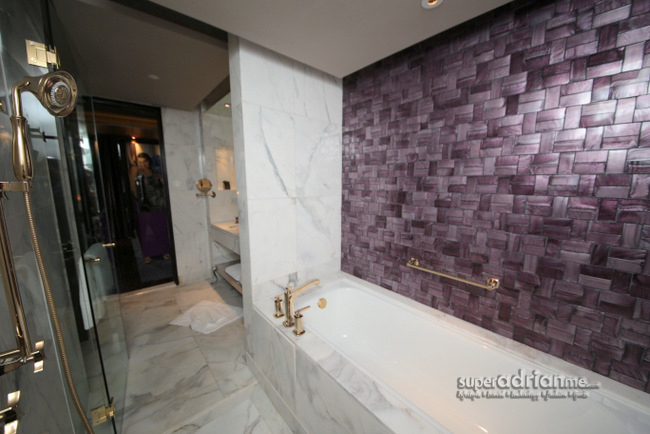 A separate shower room comes with a tiled seating area so you can enjoy a relaxing shower. Scrubbing your feet can now be done in comfort without blood gushing to your head when you bend over. Spa-brand Panpuri toiletries are provided. 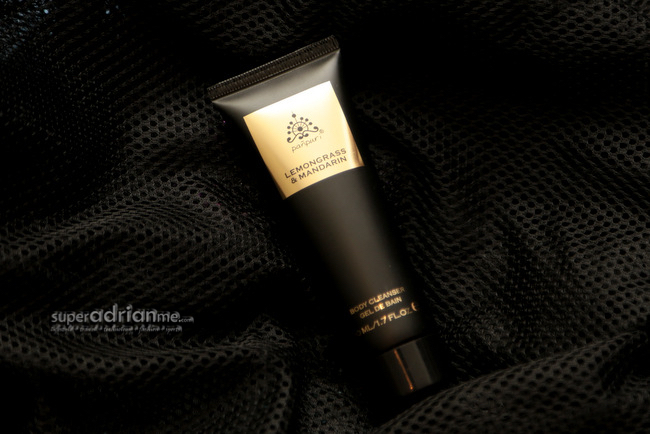 You will smell refreshingly energetic of mandarin and lemon grass after each shower. These are also sold in the hotel or at boutiques around Bangkok (including the Terminal 21 outlet where I picked out a bag-full of merchandise until I qualified for a VIP card) so you can bring home. Very tempting. 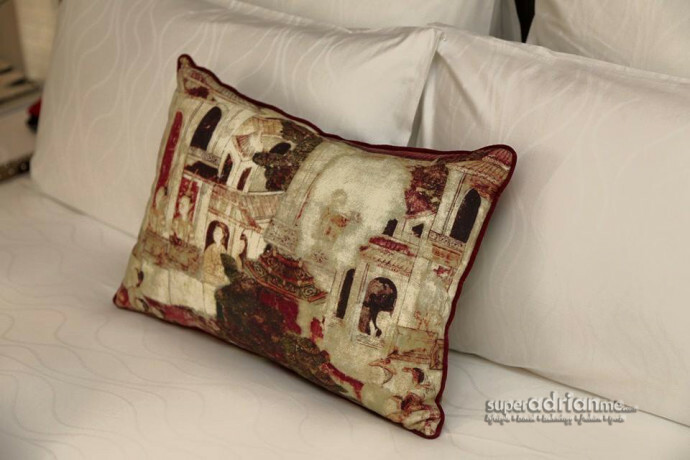 What impressed me most at the hotel would be the suite which I visited at Room 2200. 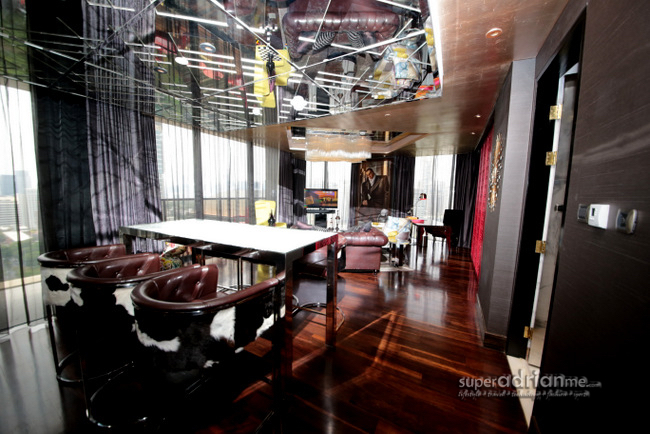 The 84 sqm suite has a huge dining and living room. The toilets and bathrooms are artistically decked up while the bed room makes a perfect abode for couples. The careful selection of clashing colours in the Royal Ratchapruek Suite seems to have blended well with the dark wooden flooring. There is nothing dull about this suite. 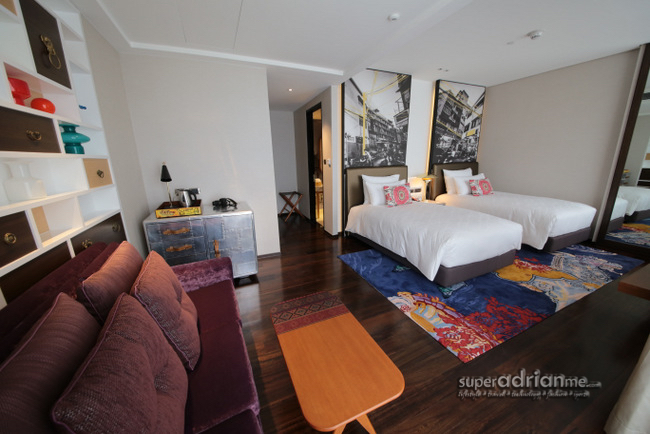 Royal Ratchapruek Suite bed room..
Hotel Indigo Bangkok Wireless Road is located opposite the residence of the U.S. 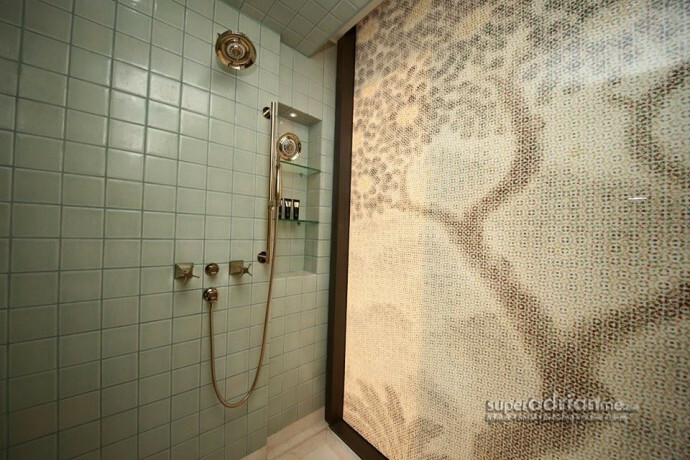 Ambassador and within walking distance to Lumpini Park or the Ploen Chit BTS station. The road along which the hotel is located also houses the Embassies of United States of America, Vietnam, the Netherlands and Kazakhstan. 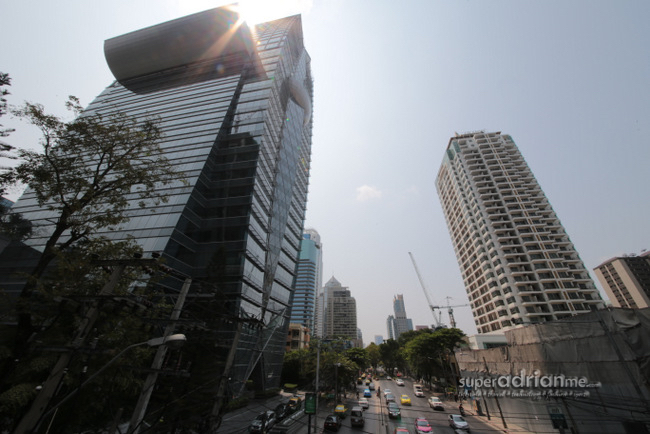 Along the same stretch is the Plaza Athenee Bangkok hotel and The Okura Prestige Bangkok while the Conrad Bangkok Residences is a walking distance away. Central Embassy Shopping Mall is the nearest mall if you go on foot. Here you get a choice of retail therapy as well as food and beverage options including the food court Eathai at Basement 1 where you can also get food stuff and souvenirs to bring back home. 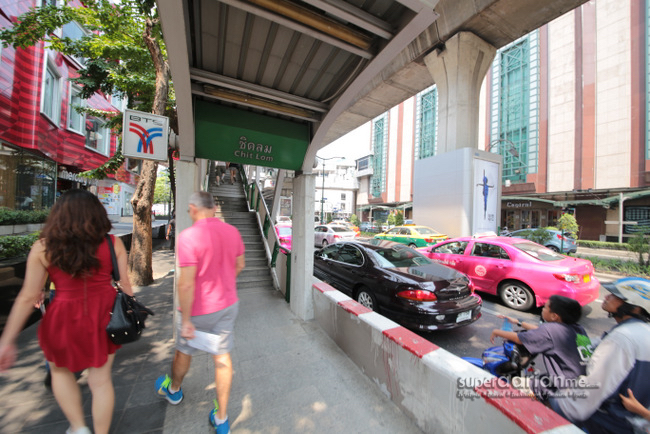 If you enjoy walking, you can also walk to the Erawan four face Buddha shrine, art galleries including the Bangkok Art and Culture Centre or Tonson Gallery, the Holy Redeemer Catholic Church, Trimurati Shrine in front of Central World. Not really what I would do since taxis and tuk tuks are so conveniently available in Bangkok. Check out more photos of the neighbourhood below. 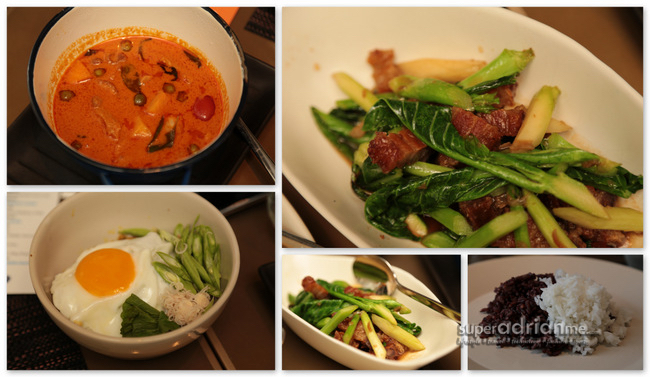 Hotel Indigo Bangkok Wireless Road has a few food and beverage outlets of its own if you wish to dine in. 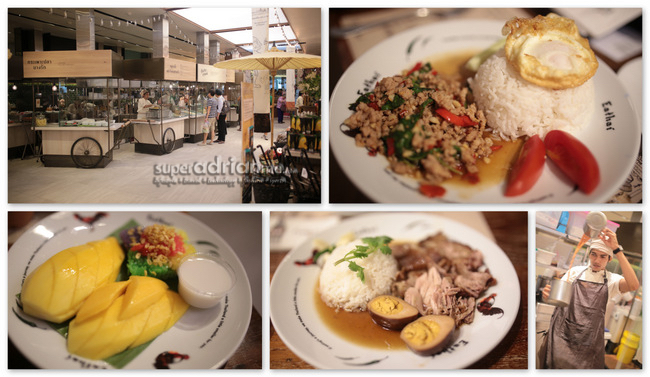 We had lunch at Metro on Wireless on Level 2 which serves local food with a twist. Here you can have breakfast as well. And check out the Signature Dessert Bar for home made desserts.